Castle Comfort Stairlifts offers top brand stairlifts, keen prices and fast installs for all those seeking stairlifts in Warrington, Cheshire. Give us a call today on 0151 676 2727. If however, you are looking for fascinating facts about the area then feel free to read on. Hello Warringtonians, people of Warrington! Castle Comfort Stair Lifts are heading your way. If you live in this town on the banks of the River Mersey or if you have loved ones who live here and are less mobile than they’d like to be, let’s see if we can help. 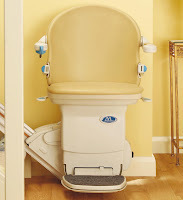 Castle Comfort Stair Lifts offer many aids to help from wheelchairs to adjustable beds to stairlifts. We reckon we know everything there is to know about stairlifts so take a look at our video and then call your local office on 0151 676 2727. Let’s have a look around Warrington in the northern part of this rich county of Cheshire. As we mentioned Warrington sits on the banks of the River Mersey just a stones throw from near neighbour Liverpool (16 miles) and 19 miles west of Manchester. No wonder Warrington ‘grew up’ here, an important crossing point on the Mersey, in fact it was a settlement for the Romans and later the Saxons – its location was always going to attract – by the Middle Ages it was a market town; but it was during the Industrial Revolution that Warrington came into its own. It was then that it took on the role of manufacturing and as the ‘Centre of Steel’ particularly wire as well as textiles, brewing, tanning and chemicals. By the end of the 20th Century ‘heavy industry’ has declined but Warrington still prospers as a centre for light industry, distribution and technology. You might not think that the IKEA building in Warrington is of great note but the fact is it was the first IKEA store to open in the UK back in 1987. Other buildings in Warrington of more historical note include Warrington Town Hall built in 1750 as the home of the Phillips family; the Grade II listed Warrington Museum and Art Gallery; the Art Deco Ritz which became the ABC Cinema and is now Mr Smith’s Nightclub! Walton Hall and Gardens: this was once the family home of brewing family, the Greenalls. The gardens have a collection of specimen trees and shrubs and a magnificent display of rhododendron and azaleas which attract visitors in the late spring/summer. It also has rose gardens, ornamental ponds and a children’s zoo. This Christmas they will celebrate the season in Victorian style with entertainers – magicians and stilt walkers - live music and a Christmas market. When you visit Warrington’s Museum and Art Gallery one of the first things you notice is the building itself. As we’ve mentioned Grade II listed which means it has special architectural or historical interest and protects the building from enduring changes to its original features. It seems to retain its Victorian atmosphere. Of course its natural history and other exhibits are of interest too. If you’re feeling like you should be preserved as a national treasure but need some assistance to get around your building, then please give Castle Comfort Stair Lifts a call! We won’t put you on display or ‘list’ you but we can help to improve your quality of life with a stairlift! As national agents for all stairlift manufacturers we’re in the position to advise on which one will suit you, your home and your budget best. Please call your local office on 0151 676 2727 for more details. In Warrington’s shopping centre Golden Square stands a rather magnificent 8 tonne granite sculpture of the Mad Hatter’s tea party from Alice in Wonderland. The sculpture is by Edwin Russell. Near to Warrington is the picturesque village of Lymm, a conservation area for its many historical buildings and the home of Sir Bobby Charlton, footballing legend. Whilst we talk of great games, we can’t leave Warrington without mentioning the Warrington Wolves. The Wire as the Warrington Wolves are known (named after the local wire industry) are a professional Rugby league team playing in the Super League. They are one of the original clubs, twenty two in total that formed the Northern Rugby Football Union at the end of the 19th century. Popular singer, banjo player and comedian George Formby lived in Warrington and is buried in the local cemetery. More recently young George Sampson, winner of Britain’s got Talent with his street dancing hails from the town. Another famous son is Chris Evans the DJ and TV presenter. Fashion designer Ossie Clark was born – after a seven day labour during a WWII air raid – and brought up in the area; he featured in his friend David Hackney’s famous painting Mr and Mrs Clark and Percy. Actor Pete Postlethwaite was born and grew up in Warrington; his career started at Liverpool’s Everyman Theatre with fellow actors, Bill Nighy, Anthony Sher, Jonathan Pryce and Julie Walters. Awarded an OBE and a member of the Royal Shakespeare Theatre, he also appeared in a number of TV dramas and films. Warrington is also the birth place and early home of another actor Tim Curry. Tim was in the original stage cast of Hair and continued his career playing a number of diverse roles for TV, film and theatre. Another famous son of Warrington is Ian Brown lead singer with the Stone Roses. Back to the world of acting and Sue Johnston an actress born in Warrington best known for her role as Sheila Grant in Brookside and Barbara Royle in The Royle Family. Sue was also awarded an OBE. Rebekah Brooks of ex-chief Executive of the News International and one-time wife of Ross Kemp was born in Warrington. Probably not in the running for an OBE! Castle Comfort Stair Lifts has enjoyed showing you around just a few of the sites of Warrington in Cheshire and hopes you’ve enjoyed the visit. Obviously we’d be pleased to help you or your loved one in your selection of a stairlift to make your life more enjoyable. Even if your annual income doesn’t come anywhere near Cheshire’s average of £62,000, you can still afford a stairlift – it isn’t a luxury but an aid to your comfort. As well as a range of brand new stairlifts, Castle Comfort offer either part-exchange for your existing chair or the opportunity to purchase a reconditioned model. There are grants and even 0% finance to help, and of course our own £50 voucher which you can use towards your purchase. Get in touch with your local office for more details on 0151 676 2727. What you haven't mentioned Castle Comfort Stairlifts- is that Warrington has a superb golf course-well worth a visit - with magnificent views of Cheshire Lancashire and the Welsh Hills.